Kerry has been an alterations customer for some time. On one Saturday morning visit she asked me about bespoke. Kerry has a much loved jacket that she wanted a velvet version made for her 50th birthday. 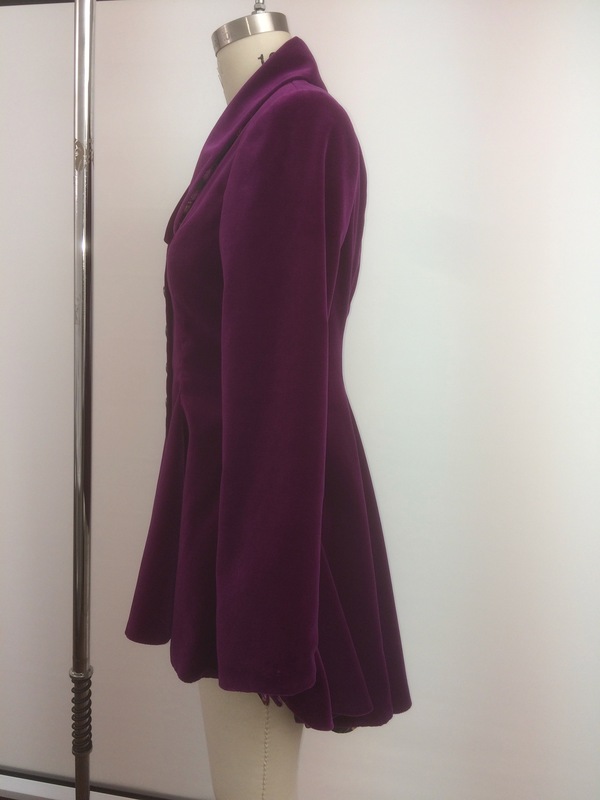 This was not just any velvet jacket though, she chose a Holland and Sherry magenta velvet. This collection has a touch of modal mixed in the cotton cloth which gives it an added colour vibrancy and durability that makes this velvet a great choice for her jacket. It doesn’t bruise like the silk velvets can and drapes beautifully. 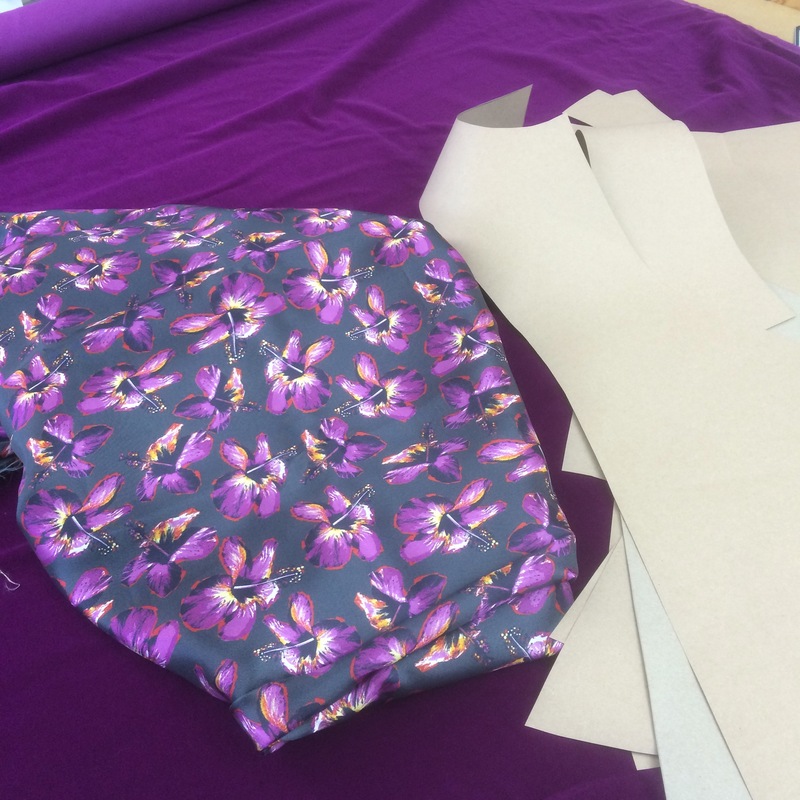 Kerry chose a lining that contrasts and compliments the bold magenta with flowers on a grey background that shows through the folds of the skirt and when she twirls. I have it on good authority that this makes an excellent twirling jacket. The jacket has a asymmetrical dropped hem to emphasise the soft pleats in the flared skirt. The sleeves are longer with pointed, split hems and the soft shawl collar accentuates the modest front neckline. The jacket is finished off with pewter buttons that bring out the colour in the lining. 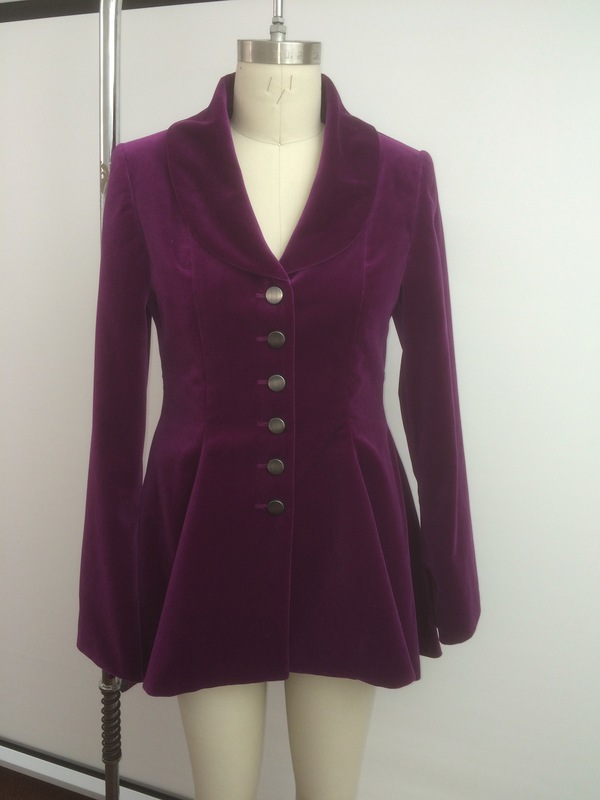 This velvet jacket could be worn with everything from jeans and a tee to over a formal gown, making it a great investment piece she will love for many years to come. Would you like to order something bespoke? 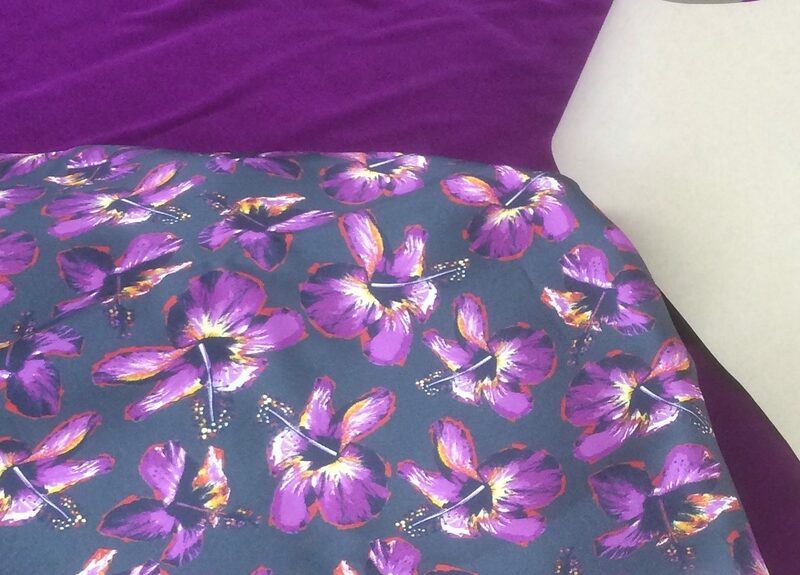 Call us on 0118 979 3880 to make a no obligation appointment to discuss your bespoke garments today. Struggling for a style you like, take a look at my Pinterest page for ideas.